Last February 17th to 19th, the Dept. of Music of Pusan National University held the Puccini’s opera ‘La Bohème’ in 10.16 Memorial Hall. The hall was full even though it was not a regular semester. 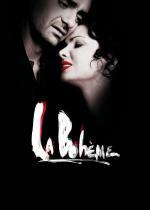 What aspects of La Bohème attracted them? Let’s get into the Puccini’s melodies. Actually, many people think opera is for the nobility, because of the history and tradition of opera. In the history of opera, the audiences were almost nobility. This aspect made it hard to enjoy and to access opera. However, opera deals with a variety of common stories similar to those of soap operas or films, such as love, anger, betrayal, comedy, history, and myth. A great melody, a beautiful voice, and a well written-script can excite audiences. Surely, there is no need to say more about Puccini’s La Bohème that hasn’t already been said because its fame and popularity had already been established. La Bohème is Puccini’s fourth opera. The original is Scenes de la vie de Boheme written by Henry Murger. Luigi Illica and Giuseppe Giacosa wrote the script. The Composer is Giacomo Puccini, and the background of the opera is Paris in 1830. It is made up 4 sessions and its performance time is about 100 minutes. The first performance was held in the Royal Opera Theater in Turin at February 1st, 1896. It was a success the first time. Many reviewers expected that this opera will not have a long life. However, the opera has had a hundred performances in 1903 alone, and it is loved internationally. The opera’s main concept is tragic love between Mimi, a girl suffering from tuberculosis, and a poor poet Rodolfo. Rodolfo says to his friends that he will follow them after the arrangement of his manuscript. He was alone in the room. Then, the beautiful Mimi enters to light her candle. Mimi notices that she forgot her key after left the room. So, she opened the door again, and then the wind blew out Mimi’s candle. At that time, Rodolfo also had his candle extinguished. They searched for the key in darkness. Rodolfo discovers the key but he put it in his pocket. He then takes her cold hand intentionally. After a moment, they realize each other’s mind, and fall in love. After long term with being bitten by the love virus, Mimi is becomes weak. Rodolfo appeals his mind to his friend Marcello. He loves her crazily, so he wants to say goodbye. He knows that she doesn’t have a long time to live because of her illness and he doesn’t have enough money to recover her from her sickness. Mimi listening in overhears his talking and runs to Rodolfo. They hug each other, and sing an elegy ‘Addio dolce svegliare alla mmattina’ to say good bye to each other. During a peaceful day, Mimi comes into Rodolfo’s room with a fatigued body. Rodolfo takes her to his bed and has a talk with her. Poor Mimi finally passes away. Rodolfo doesn’t believe the fact that she is gone and cries his heart out. Many operas exist in the world. However Puccini’s La Bohème has a special spell. I never can transfer the sensitivity and the melody to you in these words. If you have a chance to see Puccini’s La Bohème, why don’t you take a chance and become hooked on Puccini’s spell? Puccini’s La Bohème is loved and praised across the world, continuously. Pathetic melodies that only can be expressed by him make a sentimental wave.